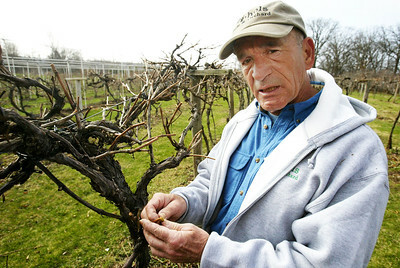 H. Rick Bamman - hbamman@shawmedia.com Nichols Farm and Orchard owner Lloyd Nichols discribes the possible weather damage to one of the concord grape vines at the orchard. 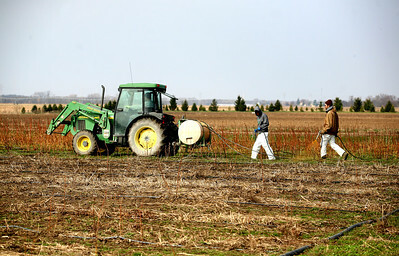 Nichols ranked this past winter as one of the harshest since he started in Marengo 36 years ago. 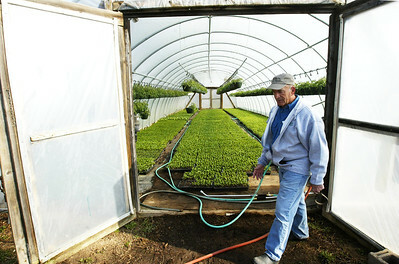 Nichols and his family grow more than 1,000 fruits and vegetables at the orchard each year. "It's too early to see what happened yet ... We definitely pushed the season back," Nichols said. 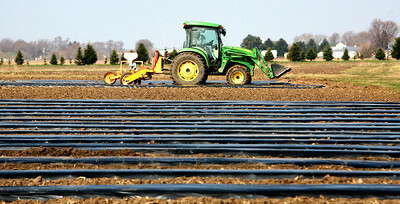 "We are looking at a relatively short growing season." 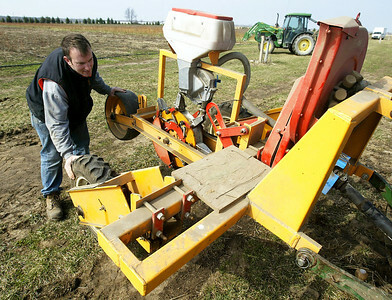 H. Rick Bamman - hbamman@shawmedia.com Todd Nichols checks the level of a planter before making adjustments and putting down rows of sweet corn seeds on Friday, April 18 in Marengo. 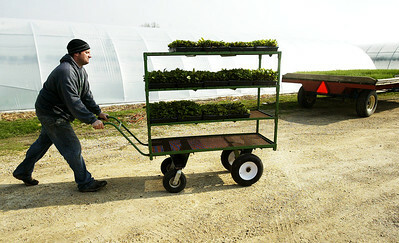 The Nichols family grow more than 1,000 fruits and vegetables on 400 acres each year. 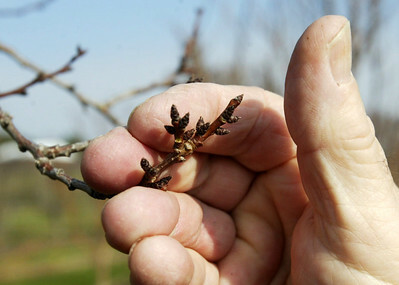 H. Rick Bamman - hbamman@shawmedia.com Lloyd Nichols inspects buds on a fruit tree. H. Rick Bamman - hbamman@shawmedia.com Nichols Farm and Orchard owner Lloyd Nichols describes the possible weather damage to one of the concord grape vines at the orchard. Nichols ranked this past winter as one of the harshest since he started in Marengo 36 years ago. 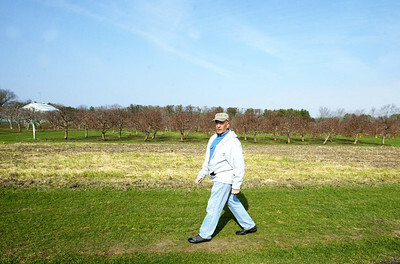 Nichols and his family grow more than 1,000 fruits and vegetables at the orchard each year. "It's too early to see what happened yet ... We definitely pushed the season back," Nichols said. "We are looking at a relatively short growing season."